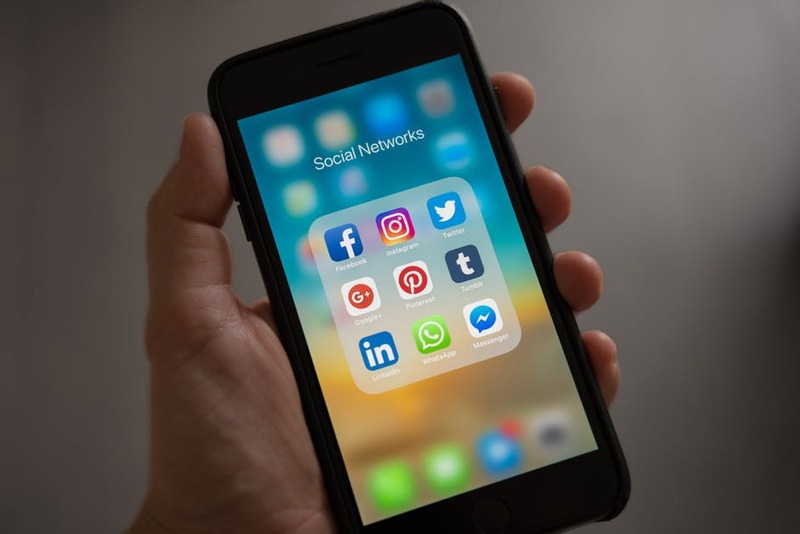 Users typically access social media services via web-based technologies on desktops and laptops, or download services that offer social media functionality to their mobile devices (e.g., smartphones and tablets). When engaging with these services, users can create highly interactive platforms through which individuals, communities, and organizations can share, co-create, discuss, and modify user-generated content or pre-made content posted online. They "introduce substantial and pervasive changes to communication between organizations, communities, and individuals." Social media changes the way individuals and large organizations communicate. These changes are the focus of the emerging fields of technoself studies. Social media differ from paper-based media (e.g., magazines and newspapers) to traditional electronic media such as TV broadcasting in many ways, including quality, reach, frequency, interactivity, usability, immediacy, and performance. Social media outlets operate in a dialogic transmission system (many sources to many receivers). This is in contrast to traditional media which operates under a monologic transmission model (one source to many receivers), such as a newspaper which is delivered to many subscribers, or a radio station which broadcasts the same programs to an entire city. Some of the most popular social media websites are Facebook (and its associated Facebook Messenger), Instagram, WhatsApp, Google+, Myspace, LinkedIn, Pinterest, Snapchat, Tumblr, Twitter, Viber, VK, WeChat, Weibo, Baidu Tieba, and Wikia. These social media websites have more than 100,000,000 registered users. Observers have noted a range of positive and negative impacts of social media use. Social media can help to improve an individual's sense of connectedness with real or online communities, and can be an effective communication (or marketing) tool for corporations, entrepreneurs, nonprofit organizations, advocacy groups, political parties, and governments. At the same time, concerns have been raised about possible links between heavy social media use and depression, and even the issues of cyberbullying, online harassment and "trolling". Currently, about half of young adults have been cyberbullied, and of those, 20% said that they have been cyberbullied regularly. Another survey in the U.S. applied the Precaution Process Adoption Model to cyberbullying on Facebook among 7th grade students. According to this study, 69% of 7th grade students claim to have experienced cyberbullying, and they also said that it was worse than face-to-face bullying. Both the bully and the victim are negatively affected, and the intensity, duration, and frequency of bullying are the three aspects that increase the negative effects on both of them.